Author: Hodes, Martha Set In . 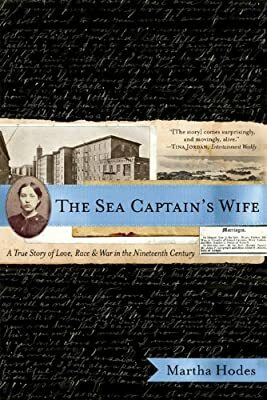 . .
A finalist for the Lincoln Prize, The Sea Captain's Wife "comes surprisingly, and movingly, alive" (Tina Jordan, Entertainment Weekly). Award-winning historian Martha Hodes brings us into the extraordinary world of Eunice Connolly. Born white and poor in New England, Eunice moved from countryside to factory city, worked in the mills, then followed her husband to the Deep South. When the Civil War came, Eunice's brothers joined the Union army while her husband fought and died for the Confederacy. Back in New England, a widow and the mother of two, Eunice barely got by as a washerwoman, struggling with crushing depression. Four years later, she fell in love with a black sea captain, married him, and moved to his home in the West Indies. Following every lead in a collection of 500 family letters, Hodes traced Eunice's footsteps and met descendants along the way. This story of misfortune and defiance takes up grand themes of American history—opportunity and racism, war and freedom—and illuminates the lives of ordinary people in the past.